Image Skincare is new to Ireland - a cosmeceutical line that will enable therapists to expand their expertise and take their clients to the next level of skin care excellence. Founded in 2003 by Janna Ronert, it raises the bar for all skin care brands, and has become one of the fastest growing skincare companies in America. Whilst being one of the most effective cosmeceutical lines available, is also one of the easiest to use and to understand! The Image Skincare philosophy is to use superior ingredients to achieve outstanding results. This luxurious treatment diminishes dark spots by utilizing the latest innovations in lightening and exfoliating technologies. Receive the MAXIMUM in anti-ageing prevention. This progressive exfoliating treatment containing the most advanced fusion of ingredients. This active clinical facial is designed to effectively dissolve excess oils and superficial blemishes. A skin peel is a resurfacing treatment designed to improve and enhance the skin. Benefits include skin clarity, even skin tone, uniform colour and improved texture. 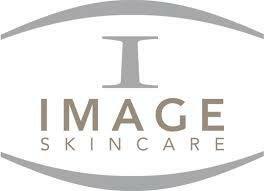 Image Skincare face peels effectively treat wrinkles, blemishes and uneven skin pigmentation. All of our peels are formulated in Aloe Vera based gel to simultaneously protect the skin. We have sourced the highest grade cosmeceutical range of peels and post care products from the U.S.A.
A luscious blend of Papaya, Pineapple, Pumpkin & Mango infused organic ingredients are used in this gentle yet highly effective peel. This revolutionary 4 layer treatment will dramatically improve skin condition in just one application. This peel is specifically designed to target Sun Damage, Pigmentation and Age Spots. This exceptional Anti-Aging Peel effectively treats Wrinkles, Fine Lines, Loss of Firmness and Radiance. 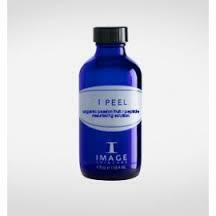 This peel targets all Oily/Acne skin concerns.